A voluntary support group for families with children and young adults who have special needs and disabilities in Derby City and Derbyshire. A one-day FREE event (including breakfast snacks, refreshments and a buffet lunch) for parents on the topic ‘Overcoming Trauma and Building Resilience’. A Belper based support group for children with additional needs and their families. Bolsover Good Neighbours befriending scheme has been in operation now for one year! We are currently taking referrals for people who would like a befriender to visit them in their own homes for a chat and a cuppa. We are also recruiting Volunteers who would like to be befrienders. Prizes are available for entries in both the adult and children’s categories. All entries will be published in a book. In December, the CYP Learning Disability team, launched STAMP (Supporting Treatment and Appropriate Medication in Paediatrics) initiative at the Royal College. The launch was a success, and we heard from two families, who shared their experiences about being prescribed psychotropic medication, to the detriment of their loved ones. We also heard from Sarah and Owen Thomas, who talked about receiving medication at the right time and for the right reasons, with a positive impact on Owen’s quality of life. Please follow the link here for more information and also see the attached leaflet below. We are hoping to get the messages across and contribute to improving the lives of Children and Young People with Autism and/or a Learning Disability, as research shows that they are more likely to be given medication, than any other children and young people. 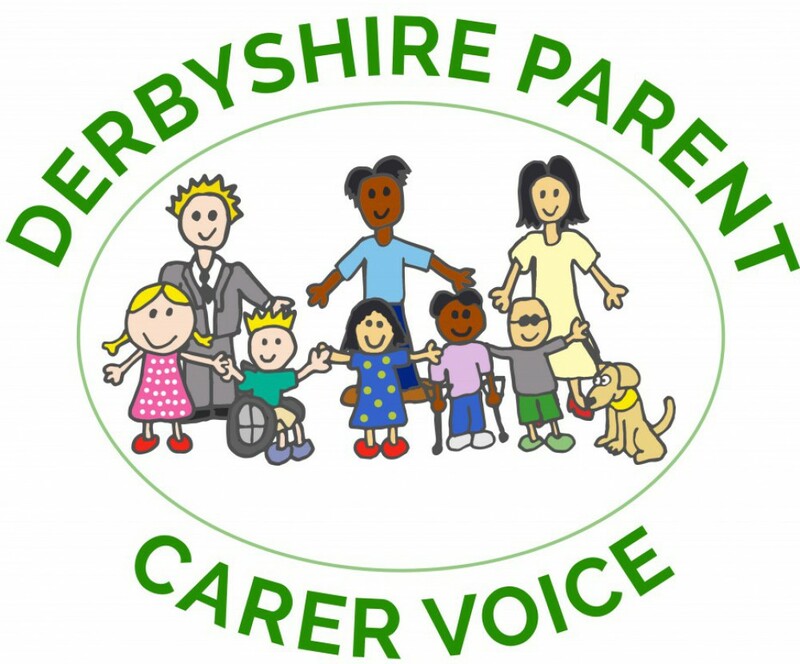 For the latest Newsletter from Derbyshire Carers Association please click the link below. Please click on the links above for more information and see the images below. The Support Service for Special Educational Needs (SSSEN) is a Derbyshire Local Authority Service which aims to ensure the inclusion and achievement of children and young people with special educational needs and build expertise and capacity within schools in Derbyshire. The Service is led by Belinda James, Head of Service, and made up of 7 teams each with an Area Manager, Senior Teacher(s) and specialist SEN Support Teachers. We work with children in maintained nurseries and infant, junior and primary schools with Special Educational Needs and Disabilities (SEND) as part of the provision in their EHC, GRIP or ETAEYS Plan. Support from SSSEN is agreed when the child has significant barriers to learning and complex learning needs that meet SSSEN criteria. We strive to maintain high levels of knowledge and expertise throughout the service and many teachers in the service hold further qualifications in SEN. We aim to work in partnership with schools, families and children to provide the best support for the children we work with. Each year we carefully analyse the progress the children we support are making and the children we support have, on average, made outstanding progress for the last three years. Every year we ask families, children and schools for feedback on the quality of the service so we can continue to provide high quality support. Last year the feedback from all of these groups was highly positive. DIASS have kindly passed on the following information. Provision available to schools in Derbyshire to help avoid fixed-term and permanent exclusions. Multi-element Plan (MEP) or Well-being Plan (WP): chaired by EPs, initiated by school. Multi-element Behaviour Plan (MEBP): chaired by a member of the Behaviour Support Service, initiated by school. Last year we were very lucky in that AFASIC recieved Lottery funding to provide free Self Advocacy training courses. We decided as a reminder to upload the presentations carried out during those training sessions and a link to the AFASIC website. We hope you find it all useful. AFASIC Website – Find out more about what they do to help families. After Jessica Goodwin from Newlife gave a fantastic talk about the charity at our Annual Empowerment Event, we have all learned a great deal. Search their website for all what they offer and how they get funding. used when you need the police, and it is not an emergency. Hate Crime, lost property or criminal damage. We will be putting together all the information, and feedback you gave the forum on the day and will update this section with that as soon as possible. Thank you to everyone who attended the meeting. Personalisation and Personal Budgets information. To help you fill them in, there are some completed examples in the links below, however as these are about your individual child/young person, some parts may not be applicable and some parts might want adding too, Remember is about your child/young person and your family, we are all different. http://www.sendpathfinder.co.uk – the website that will tell you all you need to know about SEN reform. http://www.councilfordisabledchildren.org.uk – The Council for Disabled Children (CDC) is the umbrella body for the disabled children’s sector in England, with links to other UK nations. It is the only national body that brings together the diverse range of organisations that work with and for disabled children to support the development and implementation of policy and practice. Its work impacts on more than 800,000 disabled children and their families. http://www.cafamily.org.uk/ – Contact a Family is the only national charity that exists to support the families of disabled children whatever their condition or disability. Its vision is that families with disabled children are empowered to live the lives they want and achieve their full potential, for themselves, for the communities they live in, and for society. It’s offers support, information and advice to more than 340,000 families each year and campaigns for families to receive a better deal. Subscribe to the Contact a Family and NNPCF parent carer participation bulletin. http://www.nnpcf.org.uk/ – The aim of the National Network of Parent Carer Forums is to ensure that good practice, knowledge and shared expertise about parent participation continues to grow and strengthen, and to develop a cohesive and coherent structure to sustain and develop the effectiveness of parent carer forums across England, individually and as a collective voice. Everybody Hurts is an organisation that support anyone affected by child to parent abuse.